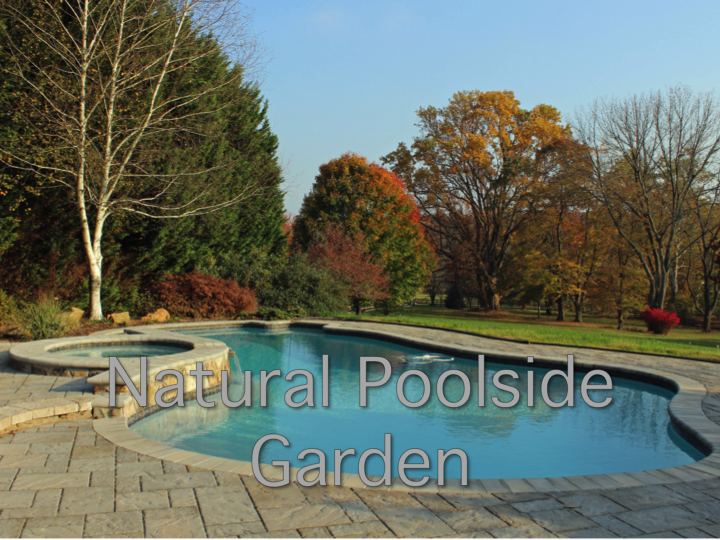 Imagine sweeps of native grasses interspersed with drifts of perennials and a few tall trees creating a perfect replica of a natural landscape around your pool. Add some shrubs to create an understory and structure. The poolside grasses are a special favorite of ours because they add a terrific movement and special sound to your poolside space. Imagine colorful butterflies in this garden, helping you find nature in you living poolside landscape.